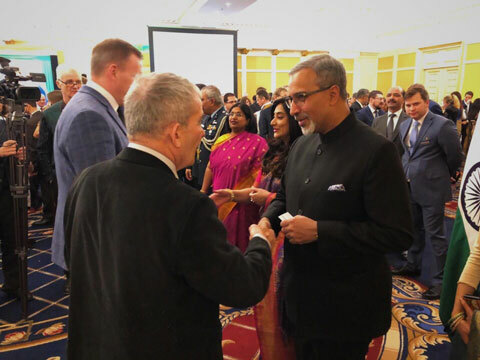 On January 25, 2019, a gala reception in honor of the 70th anniversary of independence was held at the Embassy of the Republic of India in Moscow. The Russian New University (RosNOU) at the reception was presented by Rector Vladimir Zernov and Director of the Academic Affairs & Academic Mobility Department George Gabrielian. The RosNOU delegation and the Ambassador of the Republic of India, Venkatesh Varma, held a conversation in which they outlined relevant topics for discussion and identified areas for further partnership.